The Brod® Original line of unique kvas started here. 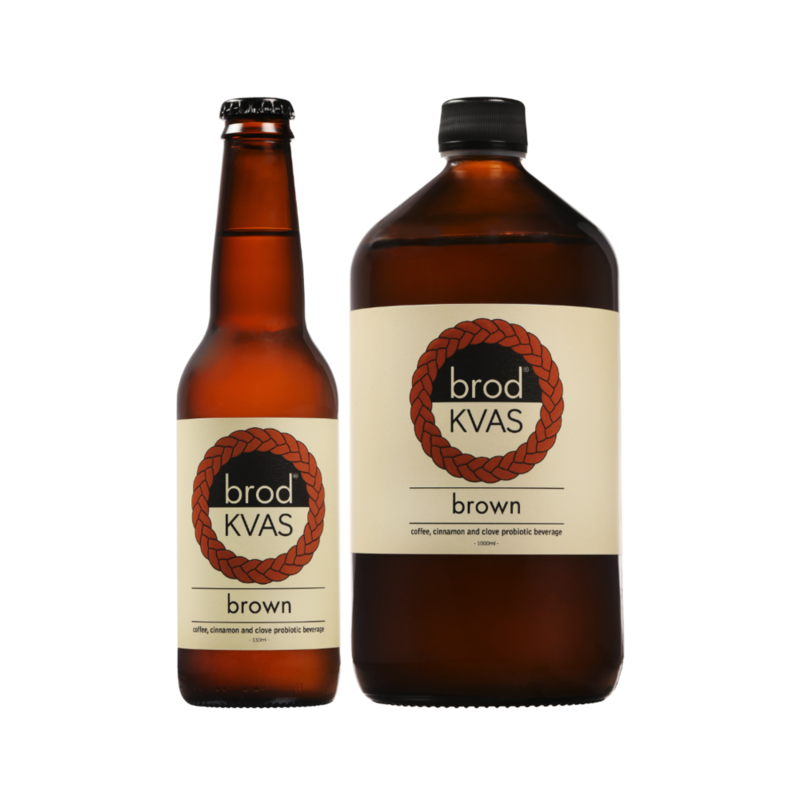 Originally inspired by coffee stouts, although the result was quite different, Brod® Brown combines traditionally brewed kvas with cold-brew coffee, cinnamon and cloves. Smooth, deep, refreshing and invigorating. 2017 Cuisine Artisan Awards winner. All Brod® Kvas varieties are raw, live products and should be refrigerated.